Filmmaker Woody Allen has filed a $68 million suit against Amazon for breach of contract, accusing the streaming giant of canceling a film deal because of a "baseless" decades-old allegation that he sexually abused his daughter. Allen says Amazon sought to terminate the deal in June, and has since refused to pay him $9 million in financing for his latest film, A Rainy Day in New York, his lawyers at Quinn Emanuel Urquhart & Sullivan allege. That film was one of several to be produced with the Oscar-winning director under a series of agreements reached after Allen made the Crisis in Six Scenes program for Amazon, which was then a new content provider. He is seeking that $9 million along with minimum guarantees owed him for other films, totaling "in excess of $68,000,000," according to a complaint filed Thursday in federal court in New York and obtained by news agency AFP. He says Amazon told him the deal had become "impracticable" because of "supervening events, including renewed allegations against Mr Allen, his own controversial comments" and the refusal of actors to work with him. 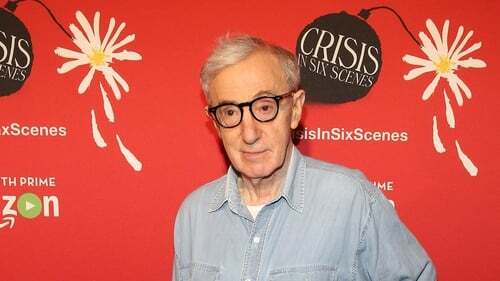 Allen has been accused of molesting Dylan Farrow, his adopted daughter, when she was seven years old in the early 1990s. He was cleared of the charges, first leveled by his then-partner Mia Farrow, after two separate months-long investigations, and has steadfastly denied the abuse. But Dylan, now an adult, maintains she was molested. In June last year, the same month that Amazon apparently terminated his contract, Allen backed the #MeToo movement against sexual harassment - and said he should be its poster boy. "I've worked in movies for 50 years, I've worked with hundreds of actresses, and not a single one has ever suggested any kind of impropriety at all," he said in an interview with Argentina's Canal 13 television network. "I - who was only accused by one woman in a child custody case, which was looked at and proven to be untrue - I get lumped in with these people." In recent months, a string of actors who have worked with Allen have distanced themselves from him, and said they would no longer work with him. Amazon did not immediately reply to a request for comment.